A large, one and a half litre cylindrical glass jar with an airlock lid. This lid allows gasses to be released without having to expose your ferment to unnecessary bacteria. Full glass construction with food safe rubber seal and stainless steel clips. 1.5 litre. (Previously the Weck Fermenting Jar). Reusable glass instead of disposable. 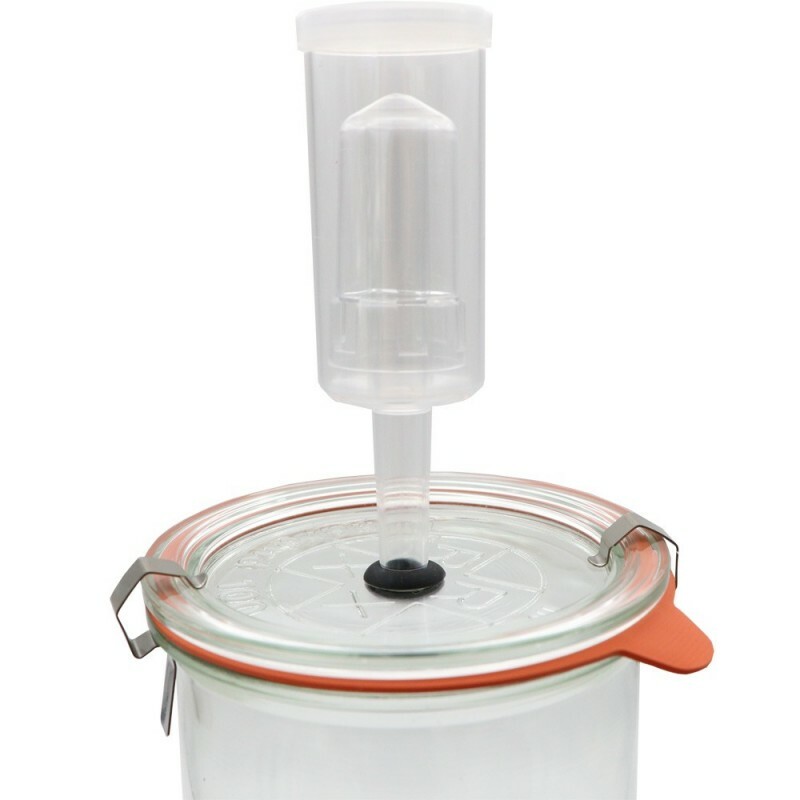 Airlock allows fermenting gasses to escape without having to open the jar. Perfect for sauerkraut, kimchi, pickles and more. Wide jar and opening so you can easily pack your ferment down tight. 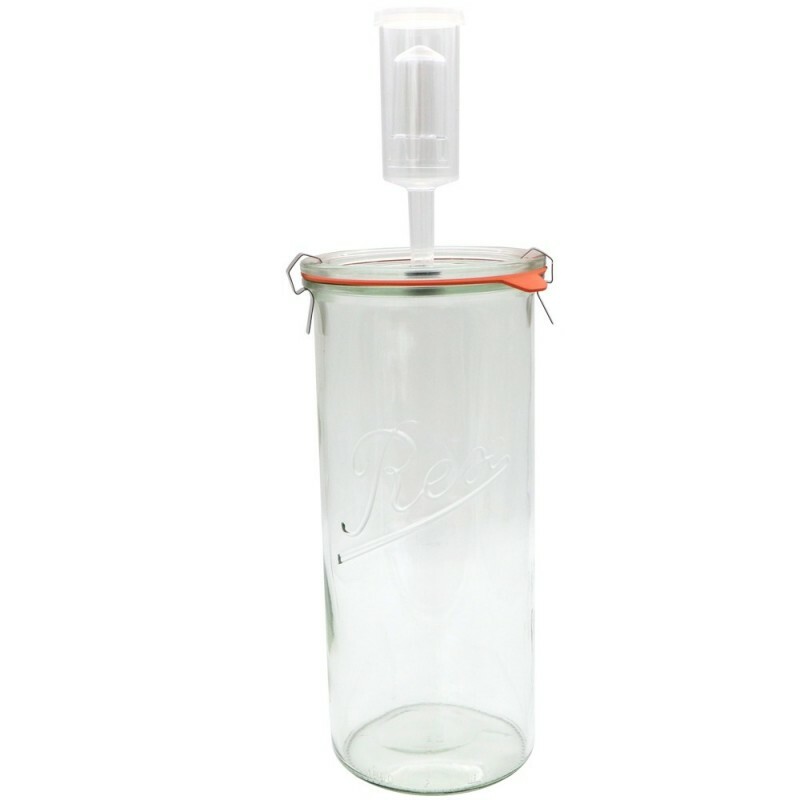 A separate large lid can be used with this same jar for storing your ferment. Fits the small Weck dunking weights. 1.5L capacity. Glass, BPA free rubber seal, stainless steel clips, plastic. Browse our other fermenting items.